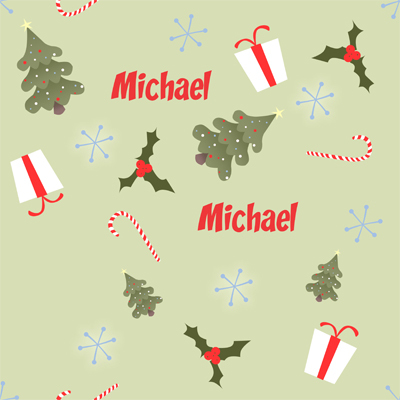 Make your presents special this holiday season with this retro design. Presents, Christmas trees and holly are printed in shades of moss green and bright red. Your name is repeated in design.